“And put your trust in Allah if you are believers indeed.” (5:23). “And in Allah therefore let the believers put their trust.”(64:13). Therefore, reliance upon Allah is part of the creed of the believer in Allah the Almighty. Since the Muslim worships Allah while relying upon Him, totally submitting before Him, then he does not understand reliance as those opponents to the Muslim creed do who are ignorant about Islam. Those who treat Tawwakul as merely a statement for the tongue, giving it no place in the heart, a verbal statement without understanding its reasoning, or pondering over it, or its causes. So they abandon deeds, being satisfied and pleased with ease and comfort, under the pretext that this is the symbol of relying upon Allah. Supposedly, they think that this satisfaction is proper based on the Decree of Allah. Never! This is not the way to define and determine reliance upon Allah. However, a Muslim understands that the reliance which is part of his faith and creed is obedience to Allah, seeking the use of all of the necessary means required for every deed and action he undertakes. He is not greedy, expecting results without using the means. Rather he should apply all causes and means in order to attain success and a response from Allah, for Allah is Capable over all things. But for the Muslim, reliance is doing and hoping, along with tranquility of the heart and soul, with the firm belief that what Allah wills is, and what He does not will, is not, and that Allah does not neglect to reward for good deeds. A Muslim believes Allah’s law works throughout existence. He prepares the means necessary for his deeds, then he endeavors to fulfill them perfectly. He never believes that the means are itself adequate to meet his requirements and to fulfill his tasks. He does not give more consideration to the means than to the order of Allah, since it is obligatory for him to behave obediently in all cases of commands and prohibitions. As for the success of his deed and the appearance of the fruitful result of what he desired, this depends on the will and Decree of Allah. He alone is Able to do all things, whatever He wills will be and whatever He has not willed will not be. Many people attempt to do deeds but do not have success nor the opportunity to enjoy its fruitful results. Many people sow and plant, without the opportunity to enjoy eating from their harvest. The Muslim views the means knowing that to depend solely on them is disbelief and polytheism, so he is innocent of this. He also knows that to abandon and neglect the means required to fulfill his tasks, while he is able to employ them, is a form wickedness and sin that is prohibited from which he must seek forgiveness from Allah. He ﷺ would use both the material and spiritual means together. Then he would put his trust in Allah for success. He would attach winning and victory to the Will of Allah and His Decree. This is one example. 2. Preparation of food and water required for the long journey. Asma’, the daughter of Abu Bakr As-Siddiq, prepared this provision. She did not find anything to tie them with. Therefore, she tore her waistband into two for the purpose. Hence, her nickname became “Dhat-un-Nitaqayn” (The female with the two bands). 3. Arranging a good riding camel to be used for the long adventurous journey. 4. Employment of an expert guide familiar with the geographical maps and routes to Al-Madinah. 5. The Prophet ﷺ ordered ‘Ali bin Abi Talib to sleep in his bed on the night of Hijrah. This was to give the enemies who were lying in wait at his doorstep to kill him, the impression that the Prophet ﷺ was still in bed while he had already left with his close friend and companion Abu Bakr As-Siddiq on their way to Al-Madinah. They were constantlyspying on him. 6. The Prophet ﷺ and his companion Abu Bakr hid in the cave near Makkah staying there relaxed and sheltered from the pagan aggressors. By Allah’s protection the Prophet ﷺ and Abu Bakr were not found by the pagans although they tracked them to the cave to kill them. The pagans saw only a cobweb covering the entrance of the cave and a pigeon laying on her egg. They could not believe that anyone could get through without disturbing either. Therefore, they went away. The above incident is an excellent example of the mysteries of the faith, and the ultimate reliance upon Allah. The Prophet ﷺ never neglected or misused the means for any matter, while he did not blindly depend on them. As for self-confidence, a Muslim should not understand it as the disobedient and sinners do. Those who think that it means cutting oneself completely off from Allah, and that the servant is the creator of his own deeds, the one who determines his own achievement and profit, and that Allah has nothing to do with that affair. A Muslim who sees the obligation of self-confidence in all endeavors and deeds understands by this that he is not to display any dependence upon other than Allah. Even though he is able to do such deeds by himself, he still puts his trust in Allah alone. If he faces any suffering or hindrance in fulfilling his task, then he immediately seeks Allah’s help, not depending on any besides Him, since that would mean that his heart depended upon other than Allah which is neither desirable nor acceptable to the Muslim. In this way the Muslim enters among the righteous, and passes upon the paths of the true believers. When one of them is finished riding his mount, he descends from it himself, he does not use the assistance of someone to help him with it. Allah’s Messenger ﷺ would have the Muslims pledge to establish the prayer, give Zakah, and to not ask anyone to fulfill their need besides Allah. 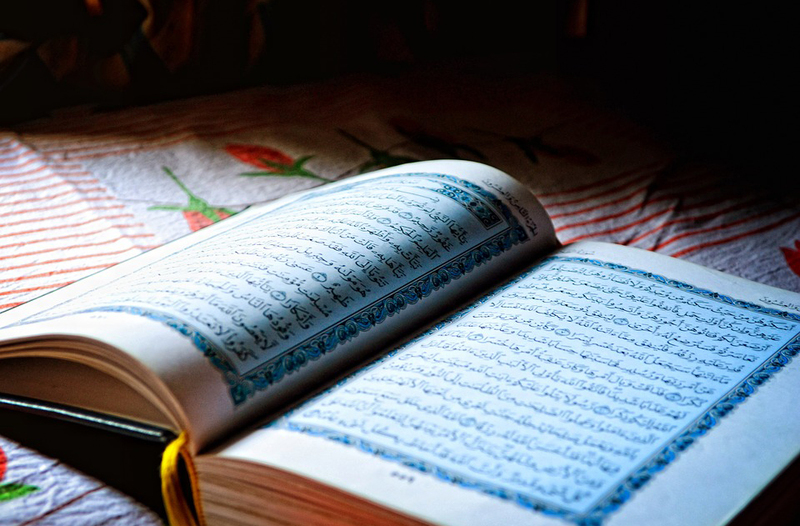 Since the Muslim lives according to the creed of relying upon Allah as well as depending upon oneself, then such belief and trust in Allah must be nourished and supported by the following enlightening verses and prophetic Hadiths. “And put your trust in the Ever Living One Who dies not.” (25:58). “And they said: ‘Allah is sufficient for us, and He is the Best Disposer of affairs.” (3:173). “Allah loves those who put their trust (in Him).” (3:159).